Skeletons are going through a little rebranding process. They are sick and tired of being thought of as 'creepy' and 'eerie.' It's not who they are deep down in the bellies of their unskinned torsos. They are people, just like you and I, the only difference is skeletons lack flesh. 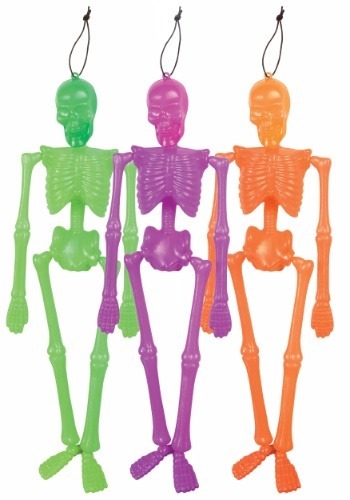 These innovative skeletons have taken a novel approach to changing their physical appearance and have decided to paint their bones in neon paint. It's like a tattoo but less permanent; what a grand idea! 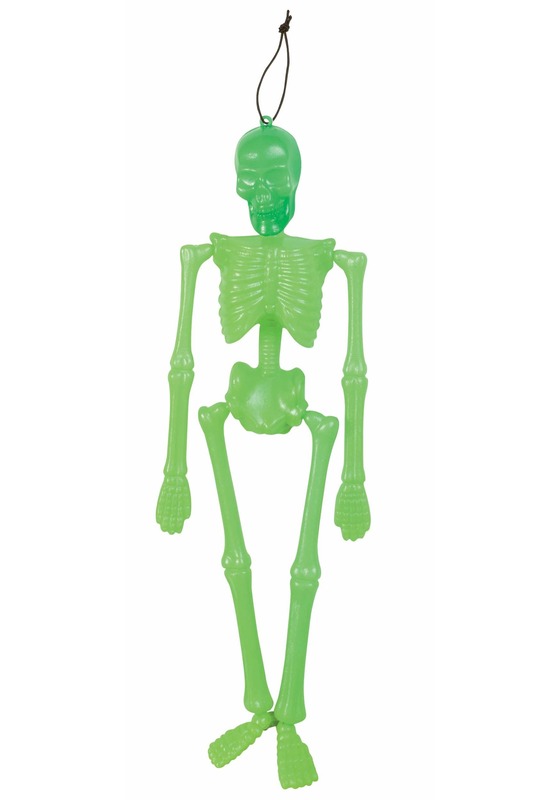 Decorate the exterior of a front porch with a hanging neon skeleton to add a splash of color to any Halloween decor scene. 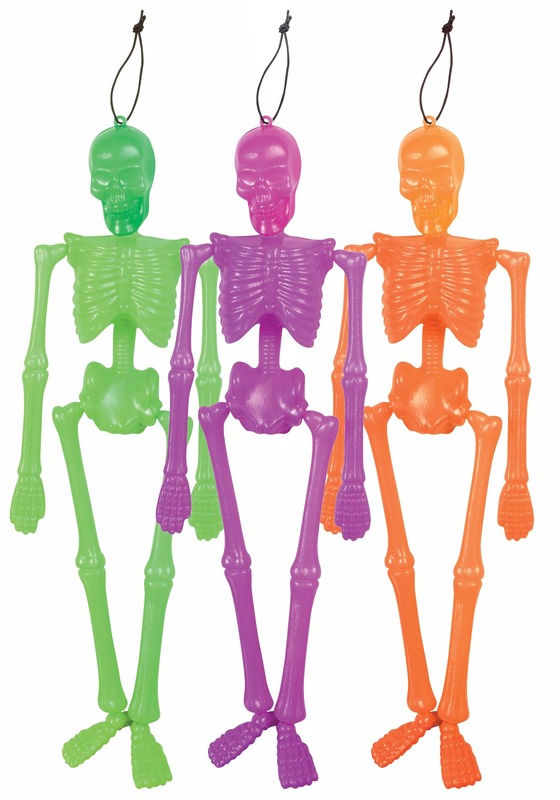 These molded plastic skeletons are approximately 16 inches long once they're hanging. The fabric cord loop attached to the top of the skull makes displaying very simple. 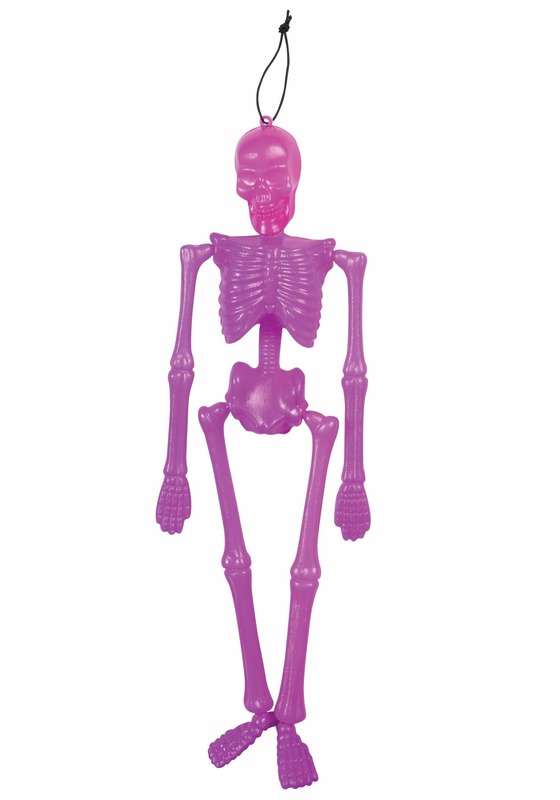 Also, these skeletons are easily poseable. They have articulated points at the neck, shoulders, hips, and ankles so position them how you like! Purchase a whole bunch of these skeletons to hang from tree branches to create a cool (yet kind of creepy) vibe. Remember, Halloween decor doesn't have to be macabre; it can be colorful and fun too.